This is a quiet, cosy bar with arabesque touches, complete with ethnic print cushions, wooden fixtures and a decor that transports us to the oriental paradises. These decorative elements are in striking contrast to the name of the bar written in graffiti, the electric blue lights and an artificial tree. 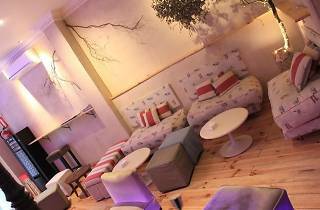 It’s a charming place, perfect to have a Caipirinha or a pina colada and relax in a comfortable chair while you smoke a shisha pipe. 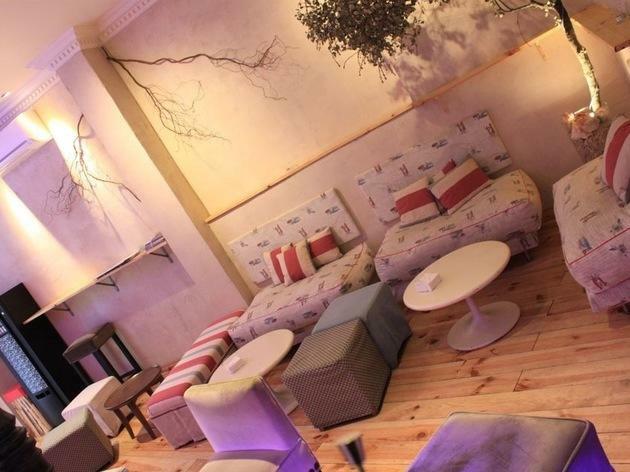 It also has a second smaller, more intimate lounge. If you leave home without having dinner you can order mini-hamburgers and open sandwiches.